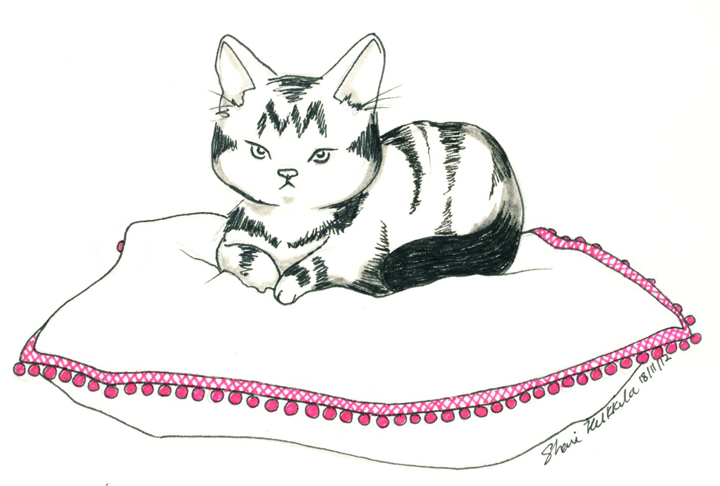 Scowly cat Jita......... has taken over the Pip Studio Pillow and refuses to move for hours. Boomer cat is lurking around somewhere waiting to usurp her sister. Not that she likes to laze on it, she just likes the challenge of the attack and chase.